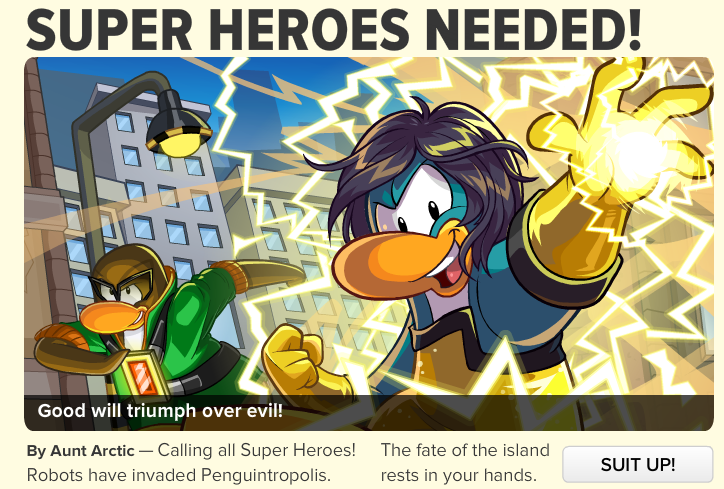 By Aunt Arctic -- Calling all Super Heroes! Robots have invaded Penguintropolis. The fate of the island rests in your hands. 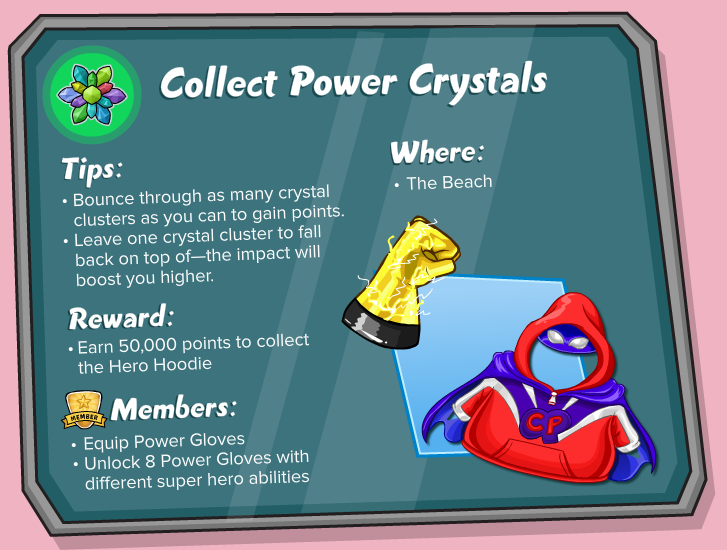 The second article in this week's newspaper talks about collecting power crystals, you can collect power crystals by waddling to the Beach! 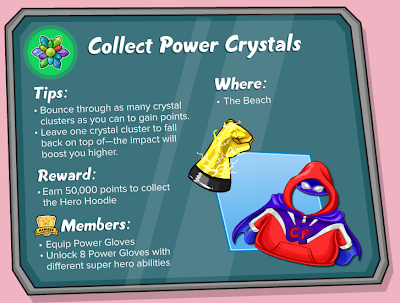 Collecting 50,000 points of crystals will hand your penguin a reward! 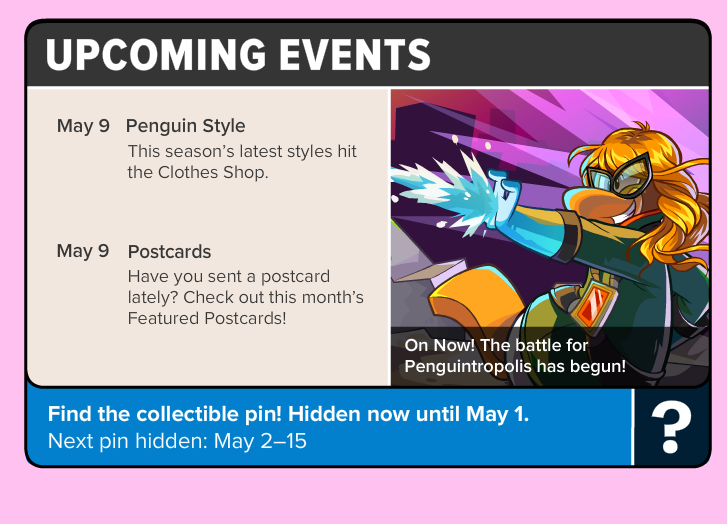 May 9 -- Penguin Style -- This season's latest styles hit the Clothes Shop. May 9 -- Postcards -- Have you sent a postcard lately? 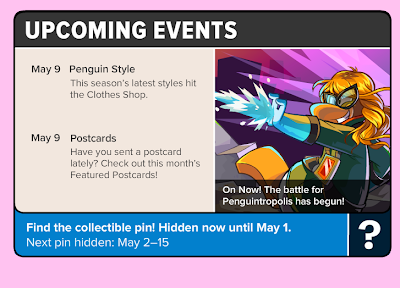 Check out this month's Featured Postcards! Are you liking the Marvel Superhero Party? Leave your comments below we'd love to hear your thoughts!